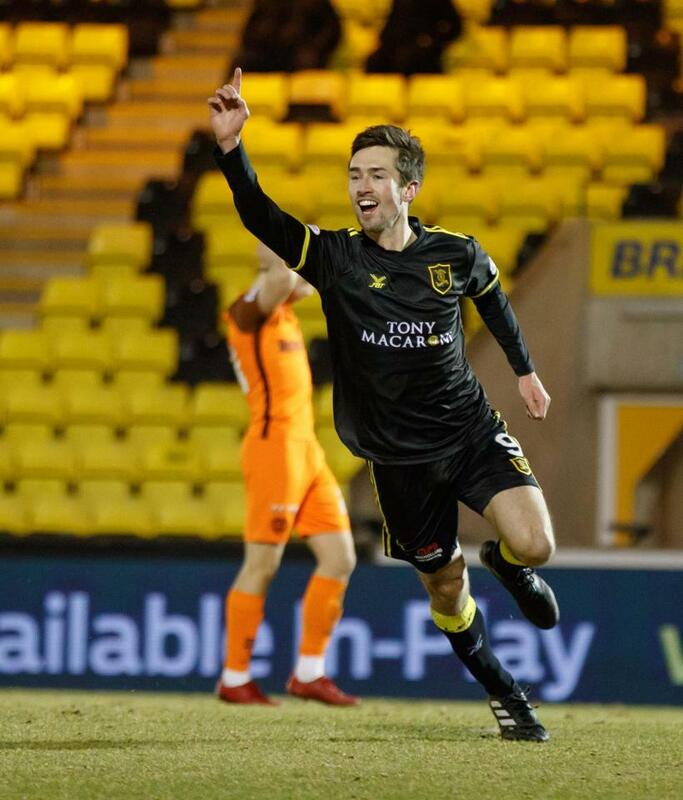 After all the hopes that Auchenhowie graduate Ryan Hardie might do enough to impress in Tenerife, the 21-year old striker did indeed secure a new deal till next year, but sadly for him still hasn’t reassured Steven Gerrard that he’s ready to stake a place at Ibrox, and instead has already gone back to Gary Holt’s Livingston. The ex-St Mirren front man was of course recalled by Stevie for Rangers’ winter break in the Canary Islands, and reports are he did very well and the manager was pleased with what he saw, but despite admitting he loved working with four quality strikers during the warm escape Gerrard has nevertheless elected to return Hardie to Almondvale till the end of the season in news that will warm the little cockles of Holt’s heart. It’s a bit of a surprise in one sense given what the manager said about enjoying having a quartet of frontmen to play with, but equally chances of him remaining at Ibrox were minimal too. But, of course, the best part for Hardie’s career is he is at least secure with a contract till next year and if he does enough at Livi for the remainder of 18/19 he might just convince Stevie he’s worth a proper place next season. Hardie seems to have been discussed as a possible future Rangers striker for what feels like years, but it doesn’t seem that the manager deems him ready yet – his start to life at SPL Livi has been excellent, however, with 5 in 7 for Holt’s men, hence carrying on smoothly his fine spell with the same outfit in the Championship. But whether or not he will be able to translate that exemplary form to the 9 shirt at Ibrox is quite another matter and Stevie evidently doesn’t think he’s ready yet. His time will surely come. There is also the point Hardie being at Livi is good for Rangers when he plays against THEM!! Agreed. Better scoring for Livi than warning our bench. Next season will be his time. His chances of game time are very limited at Ibrox so this is a sensible move. If he can continue his scoring run he will give himself every chance. If even then he still can't get a game then at least he will have some value to other teams.